•(TV): The United States and North Korea are one step away from the war!!! 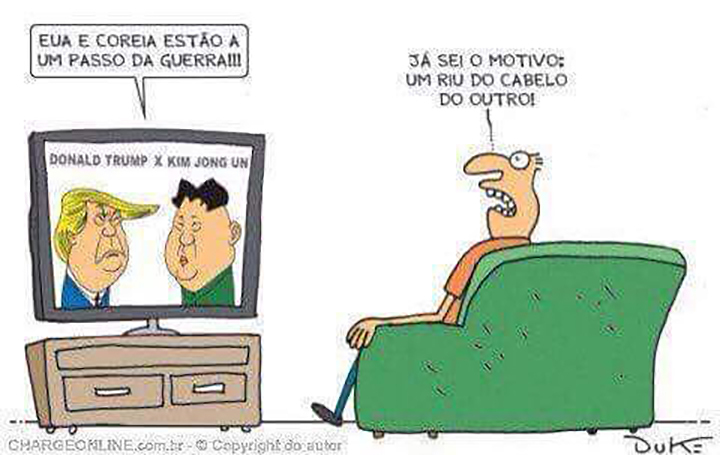 •(Viewer): I already know the reason: one has laughed at the other’s hairdo! Divirtam-se, enquanto praticam o domínio do idioma espanhol. Have fun, while you exercise your skills in Spanish. Dad: When is he coming? This video was posted on Facebook and basically talks about the bulls**t created in Brazil decades ago about a fictitious thirteenth salary. This has been touted by the press and the administrations as a benefit, not a right. More recently, state governments have been announcing their impossibility to pay the so-called “thirteenth salary”. Citing lack of funds, those state governments split payment in several installments, creating havoc among workers. Worse: nobody in Brazil ever thought this is not a benefit. Nobody ever cared to inspect the calendar to find out that there are thirteen months hidden in a twelve-month calendar. I mention the solution to the problem: copying the U.S. system of bi-weekly payments. 26 payments (adding up to 13 months) are made without the so-called “thirteenth salary”, since those 26 payments already represent 13 months. I also suggest a way of transforming this into reality, either by contacting the representatives (senators or congressmen) to request they come up with a bill changing the payment system, or a popular initiative bill, which would require the signature of millions of Brazilians all over the country. The time has come to place this issue on the discussion table. The country cannot wait anymore. In his latest cabinet appointment, Donald Trump has announced that Dr. Hannibal Lecter will be the new Secretary of Health and Human Services. O valor do dólar subiu 10% no mês de julho em relação ao real. Cotação de fechamento: R$3,42 para US$1. É o maior patamar da moeda desde 2003. Para o Blog do Lessa, a situação só tende a piorar enquanto o Brasil continuar sem governo. In July 2015, the dollar increased its value by 10 percent vis-à-vis the real. Exchange rate on July 31st: US$1 was worth RS3,42. It is the largest difference since 2003. The Lessa Blog believes that this situation will only get worse, as long as Brazil remains without a government. Hello!… Is this the CIA? 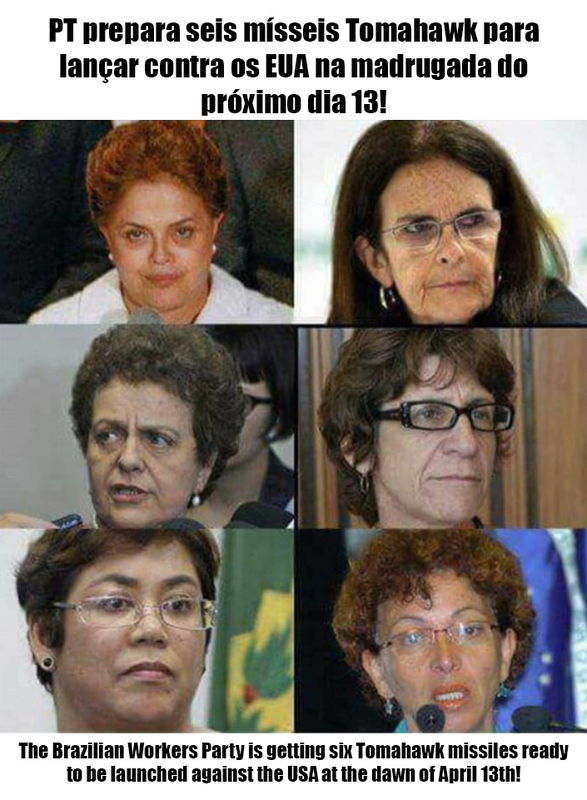 Cancel the request for Dilma’s wiretapping… I cannot understand a thing she says!